A tribute to Wynn Stewart, a pioneer of the Bakersfield and West Coast sound as a country music singer, songwriter, and musician. "It's Such a Pretty World Today"
In 2012, the The Country Music Hall of Fame and Museum told the story of the stars, sidemen and songwriters who created and popularized a new kind of country music in mid-20th century America in the exhibit, The Bakersfield Sound: Buck Owens, Merle Haggard, and California Country, a more than 5,000-square-foot exhibition opened on Friday, March 23, 2012, and closed on December 31, 2013. The exhibit explored Bakersfield's club scene where, in the 1940s and 1950s, the city's plethora of dance halls and honky-tonks provided respite for wall-to-wall, rambunctious workers eager for the boogiefied honky-tonk of the Maddox Brothers & Rose or the eclectic swing sound of Bob Wills. Also on the bandstands were enormously influential musicians Wynn Stewart and Tommy Collins, whose classic honky-tonk songs Buck Owens and Merle Haggard would later record, and for whom they worked as sidemen before launching solo careers. "During the late '50s, Wynn Stewart and Tommy Collins were two of the pioneering Bakersfield artists to have hits, and both were influential on Merle Haggard's career, musically as well as professionally. 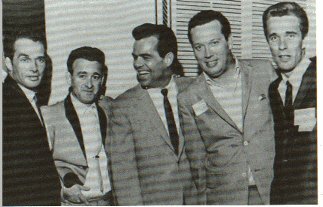 For about a year and a half, in 1962 and 1963, Merle Haggard played bass with Wynn's band in Las Vegas. During this time, Haggard heard Wynn Stewart's song "Sing a Sad Song" and asked Wynn if he could record it. Wynn gave him the song and Merle recorded it. The record became Merle's first national hit, climbing to number 19 on the country charts in 1964."